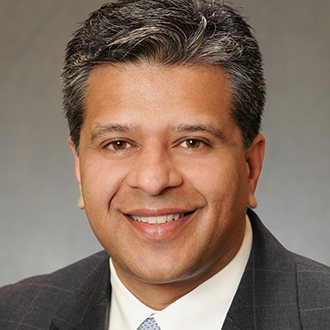 Vijay K. Shah, CCIM is a Senior Vice President at TradeMark Properties of the retail division. Vijay has more than 28 years of commercial real estate expertise with a focus on retail leasing and investment sales. Vijay’s successful experience includes working with local retailers as well as national tenants such as: Walmart, Food Lion, Roses, Dollar Tree, Shoe Show, and Verizon. Vijay has also worked with large retail landlords in both leasing and sales for Rivercrest Realty and The Alliance Companies. His expertise includes: site evaluations, demographic and market studies, land acquisition, investment sales and disposition, as well as small shop and anchor tenant lease negotiations. Vijay also assists his clients beyond the transaction by helping them to navigate services they need such as: project management, securing construction and permanent loan financing, and negotiating joint venture opportunities. Prior to joining the TradeMark Properties team in 2013, Vijay was a Principal with Unified Commercial Real Estate, a highly respected boutique firm in Raleigh, NC that focused on retail leasing, multi-family, and land sales. From 2003 to 2010, Vijay was the Director of Leasing for Rivercrest Realty, a privately held real estate investment company with over 60 shopping centers, office buildings and multi-family projects throughout the eastern seaboard. Over the his five year tenure, he grew their retail portfolio from 1 million SF to over 3.2 million SF. Vijay also worked for Advantis GVA, one of the largest independent commercial brokerage companies in the southeast for seven years heading their retail division. Vijay’s historical retail portfolio consists of over 5.7 million square feet. With a strong background in retail services, he has a proven track record with retailers, shopping centers and investors. Vijay earned his Bachelor of Arts degree in Economics from The University of North Carolina at Chapel Hill. He remains active in fundraising efforts for the Dhillon Jordan Shah Innovation Fund for Congenital Heart Disease at UNC Chapel Hill, the American Cancer Society’s Relay For Life, as well as Victory Junction in Randleman, NC. Vijay is also a member of Chapel Hill Country Club, where he enjoys spending time with his wife, Debbie, of 29 years and daughter Serena, a sophomore at Elon.